I’m a day late posting my food entry and I have no idea why it took me so long to get to this because it will be the shortest, most uneventful thing you’ll read all day. October was supposed to be my month with pumpkin and guess what? I ate pumpkin pie three times. That’s it. I didn’t even make the pie, I just consumed it. With eggplant, I learned to fall in love with something new; with my greens, I was a bit slow on the uptake but since my reset have been eating way healthier; with pumpkin, I just ate pie. Actually scratch that, I also ate pumpkin seeds with my yoghurt. So, does that count? Sigh, I didn’t think so. I won’t even post any recipe links because I’d be a fraud, pretending that I knew anything about pumpkin. I’ll show myself out now. Happy Halloween everyone. Have fun and stay safe out there. 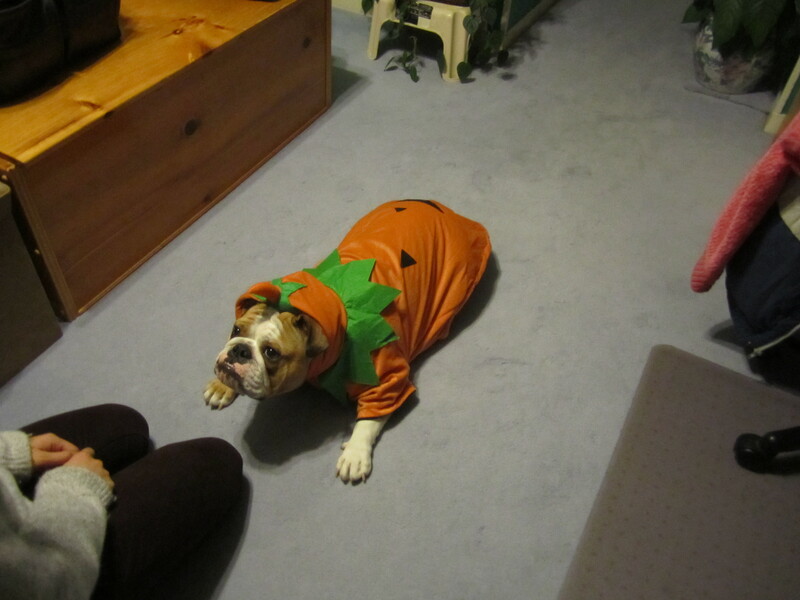 I don’t know whether you’ve ever seen a pumpkin in its natural habitat but here it is folks. Adorable pup. Hope Halloween went great. She is a little troublemaker but I do have to admit that I think she’s rather adorable, though I may be biased. Thank you for taking the time to comment and yes Halloween went swimmingly this year.